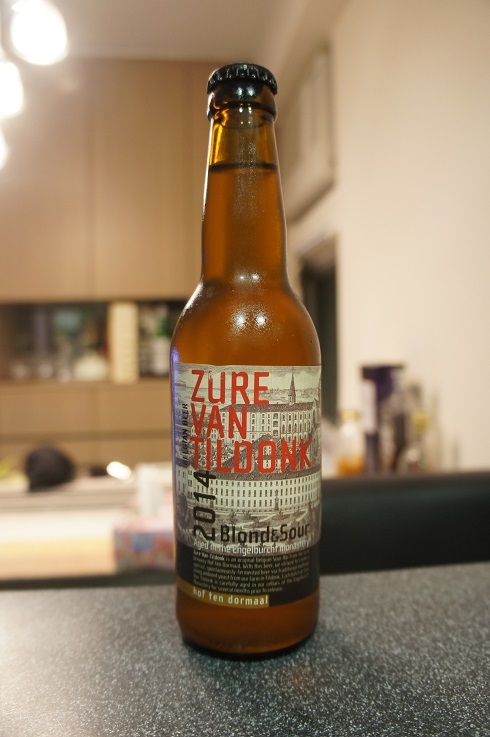 Brewer Description: (from bottle) Zure Van Tildonk is an original Belgian Sour Ale from the farm brewery Hof Ten Dormaal. With this beer, we strived to create a special, spontaneously-fermented beer via traditional methods using ambient yeast from our farm in Tildonk. Each batch of Zure Van Tildonk is carefully aged in our cellars at the Engelburcht Monastery for several months prior to release. Intro: A 12.7 fl oz bottle with a best before date of July 2017. Poured into a Cantillon ballon glass. Appearance: A slightly hazy golden colour with a just over one finger white head with decent retention and great lacing. 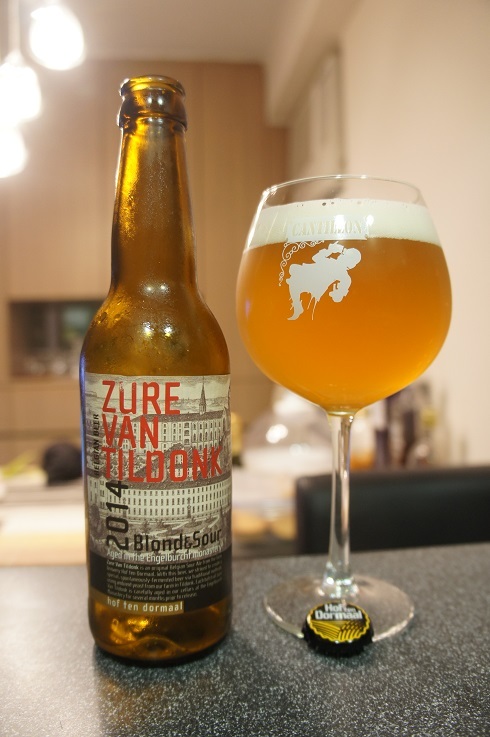 Aroma: Sour, funky and bretty with some nice fruity lemon, apricot and a hint of vinegar. Taste: Sour, tart and lemony. Light oak and sweetness on the finish with a touch of berries. Overall: It’s nice and refreshing. 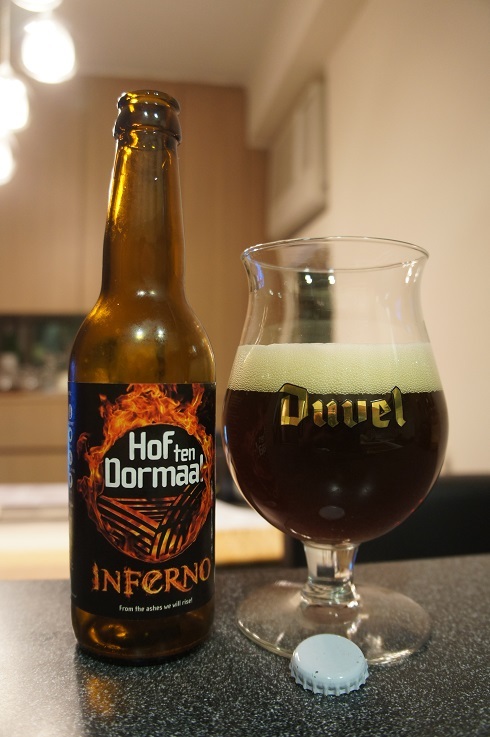 Brewer Description: (from bottle) On 6 January 2015, the owners of Belgian brewery Hof ten Dormaal in Tildonk, Belgium, saw their worst nightmare come true. The brewery was completely destroyed by fire. 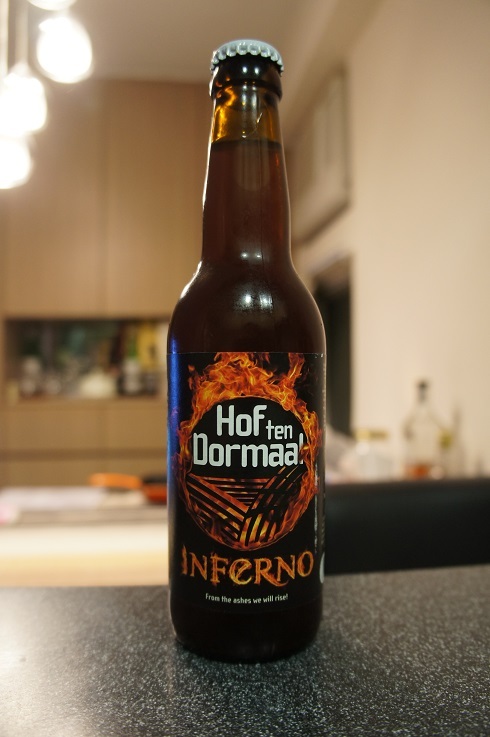 The entire bottling line, hot room and most of the stock were burned to the ground. And now, after months of hard work and dedication, we proudly present to you this very special limited edition beer. 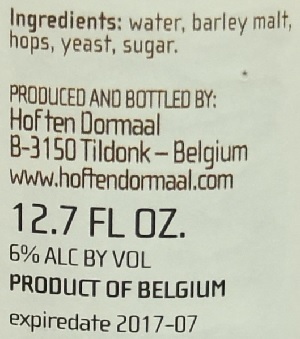 Intro: A 330ml bottle with a best before date of February 2018, poured into a Duvel tulip glass. Appearance: It poured a slightly hazy reddish copper colour with a one finger off white head that had good retention and left some curtain like lacing. Aroma: Simply, its sweet BBQ. There’s smoke and char mixed in with cherry and berries and maybe even a hint of peat. Taste: Its sour and sweet with fruity cherry, raisins and red wine with a mix of smoke, char and peat. But I think the aromas is affecting my tasting, and I’m getting charred crispy bacon and bbq every now and then. Overall: Its just so different to any other beer I’ve tried. I can understand that its largely either you like it or don’t like it beer with not much middle ground. The aromas make it quite savoury to my palate and not exactly what I’m looking for in beer. The taste was slightly better than the aroma, but the aromas is so strong that it does become quite a big factor. The 10% abv is however, well hidden. I think in the end, I finished the bottle, but its not something I’d purchase again.